After finishing “#Dreamer” last year, I discovered that I really like working with the washi tape to make abstract portraits. I like that the portrait could be anyone – you, me, someone on the street. Remember that you don’t need to conform to someone else’s ideals. Be yourself and everything will work out in the end, but don’t be surprised if it’s not the ending you thought it would be. This piece is 11″ x 14″ (28cm x 35.5cm). 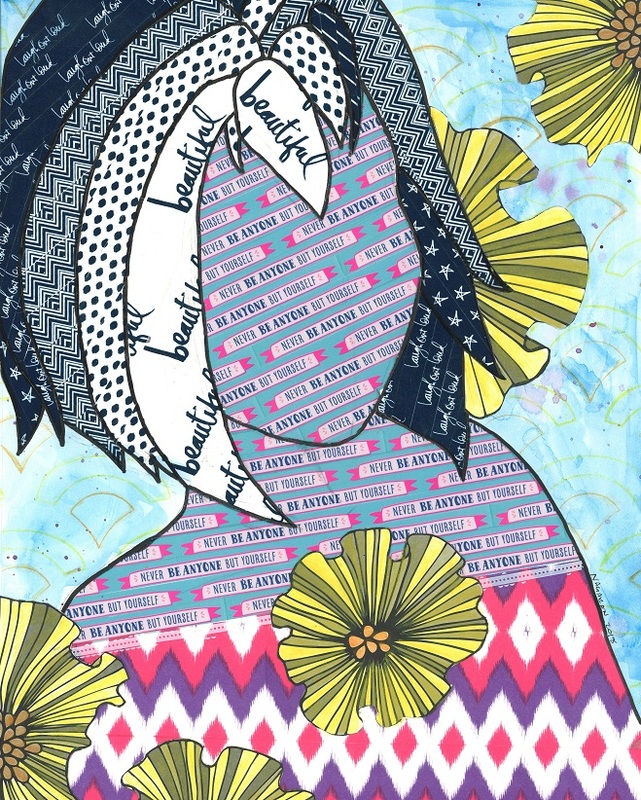 It is a mixed media collage with watercolor, pencil, washi tape, paper, transfer, india ink. Signed on the front right hand side. The original is available for sale for $65, including shipping. It will be uv protected, but not matted or framed. If you are interested in this piece, please email me at laura@somewhitherarts.com with the title in the subject line.